Hello, having to sell off some of my repro snes games that I purchased in the past. (No I didn't make them, I just play them) 20.00 each free shipping. US shipping only. Labels in great shape. PM me if interested. I'll list games as sold on a first come first serve basis. Any questions please let me know. Some people ask how to tell the difference with real games... a few ways, first off plastic screws in front as shown in pics. Differences in labels. If you opened cart, board differences. Yes RPG games have save battery and work fine. 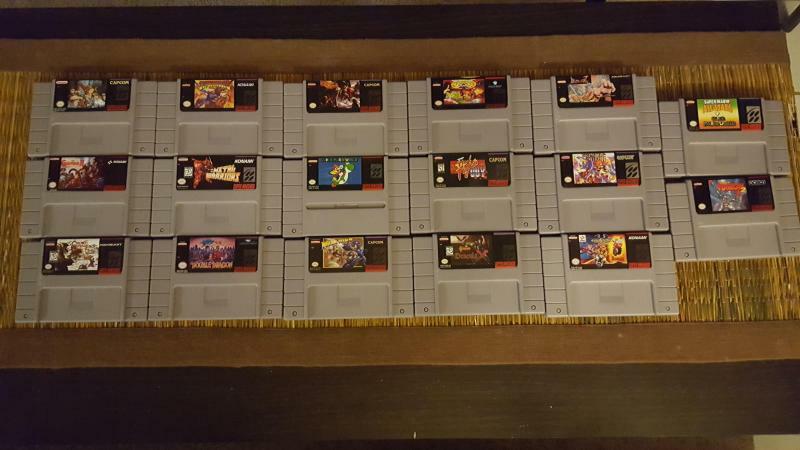 Games played on US Snes model one and two. Have not tested on any third party game systems, Retron 3 or 5, may or may not work. Please research this first before purchase. Most systems have a compatibility list online. Edited by 4ever2600, Fri Apr 19, 2019 2:26 PM.